For YouTubers the holy grail is to get a ride in a Supercar. And for car spotters it’s to get a photoshoot of a Supercar. Honestly, as a frequent spotter the opportunities are rare. Even though I am in Monaco, a magical place for any car enthusiast, setting up a photoshoot is not as easy as it seems. First you have to get in touch with the owner. Sometimes he contacts you but normally you have to find a way to contact him. There is not a typical way to make a photoshoot, but you always need some basic components. It’s like a cooking recipe: take a bit of luck, add some hazard, mix it with organization and good communication and you’ll have your photoshoot. 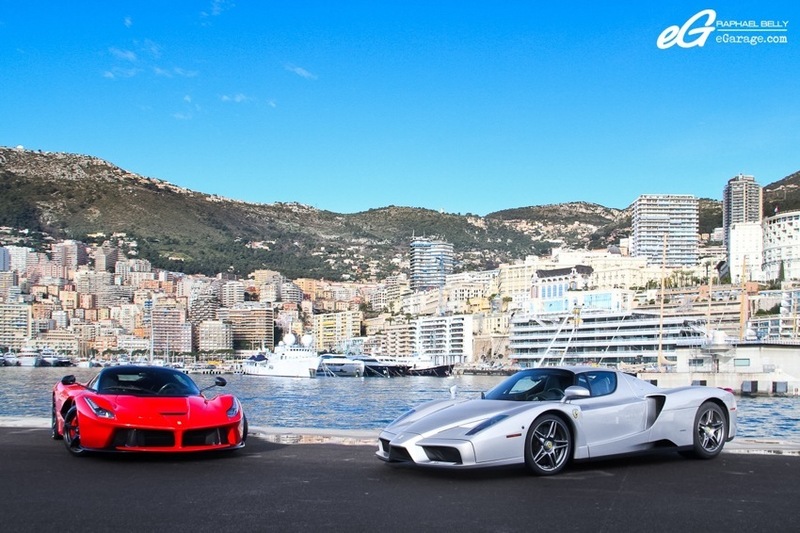 When a friend tells you that he managed to bring a grey Enzo in addition to the red LaFerrari that was planned first…well, it’s impossible to screw up this recipe. 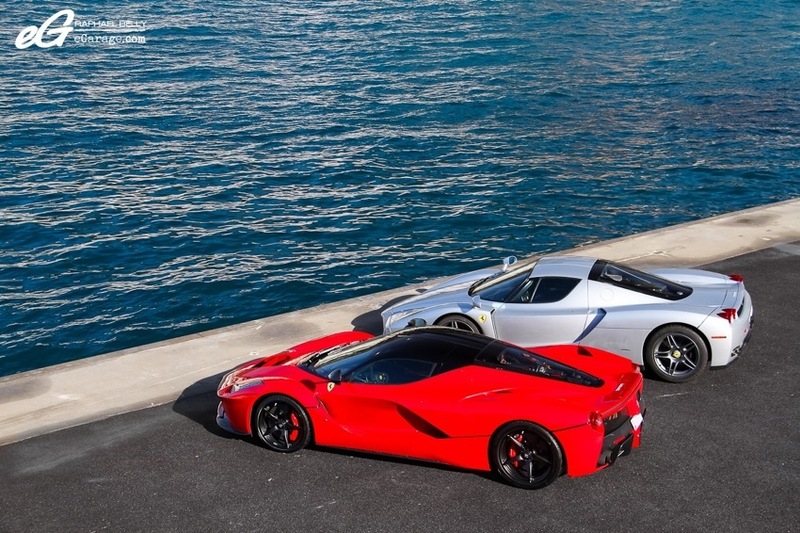 A LaFerrari AND Enzo! 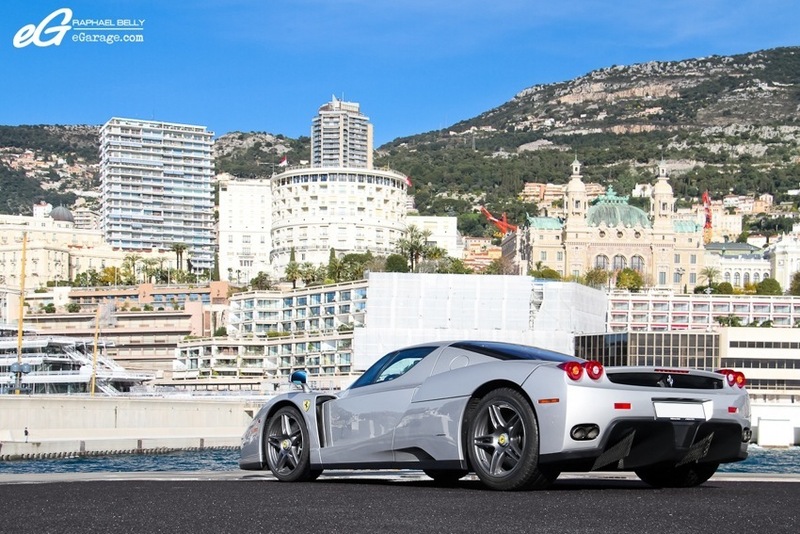 This particular Enzo is quite well known in Monaco as it is often driving around town and usually parked in front of Monaco nightclubs. Moreover it is one of only a few Argento Nurburgring factory painted Enzo and it screams like you never heard thanks to its straight pipes. 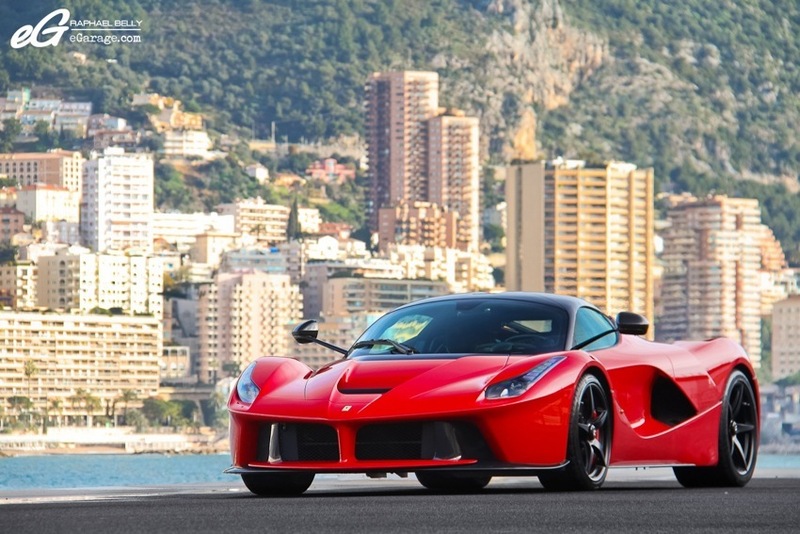 At this time, the LaFerrari is one of 6 LaFerraris with Monaco plates. 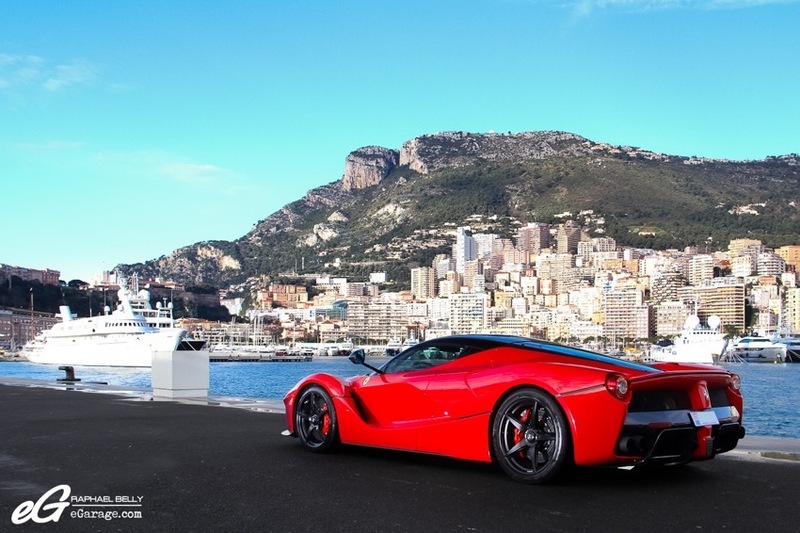 And this particular example is the first arrived and delivered in Monaco and one the first LaFerrari spotted with customer plates in the World (it was first spotted for the first time at the beginning of December 2013). It was a great opportunity to put the two cars together and to compare them. 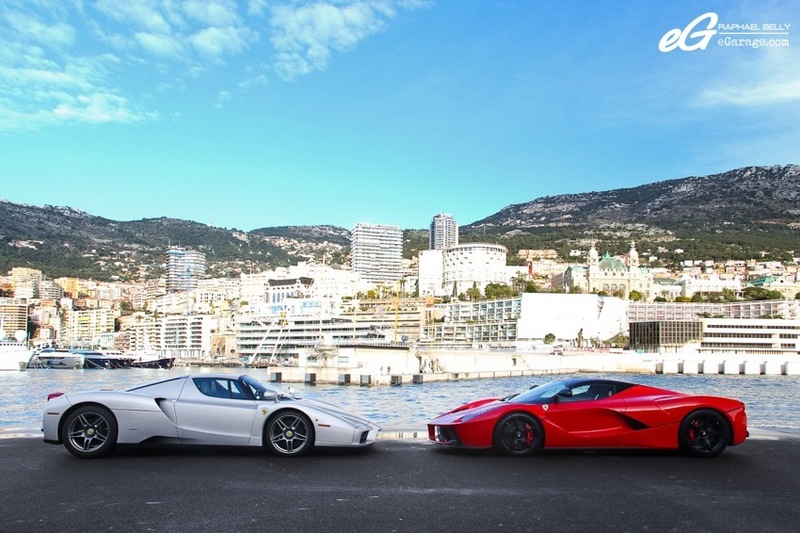 The owners enjoyed the photoshoot and spoke together a lot about their cars even if the main purpose for the shoot was the new LaFerrari – the latest weapon from Maranello. 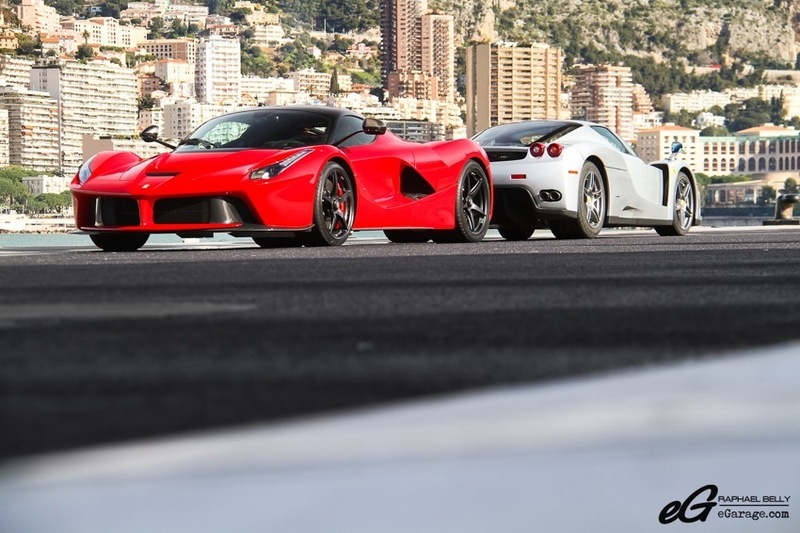 Maybe the Enzo owner got convinced to buy a grey LaFerrari! 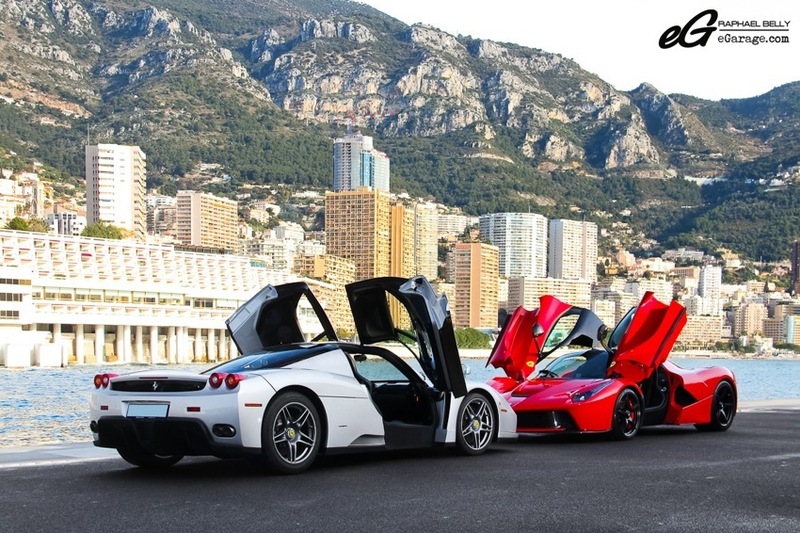 And you, will you buy the latest from Ferrari – the full of technology LaFerrari or the classic, mythical, and iconic Ferrari Enzo ?